Gone are the days when only programmers such as Mark Zuckerberg and Bill Gates could master coding and programming languages. According to website where you can find pre written papers, today, the existence of online programming websites and guides provides many people with the same opportunity to learn and understand coding online. Today people do not have to spend large amount of money on expensive training classes in order to learn programming related activities such as web development and web design. 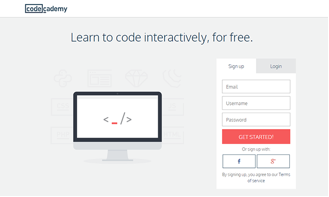 This article will examine some of the best interactive websites for individuals to lean coding online. In conclusion, these five coding websites can provide every learner with the opportunity to acquire basic programming skills as well as sharpen their programming skills. Therefore, student interested in coding learning should not hesitate to visit these sites. « Virtue Theme: How to enable slider in shop page?